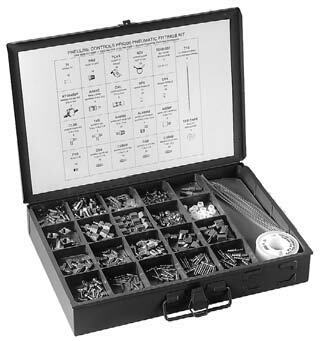 This comprehensive assortment of over 200 pneumatic fittings and accessories includes twenty-two (22) different types of the most common parts used in the field by ATC mechanics. Packaged in a durable compartmented metal box. Used for plastic and copper pneumatic tubing. 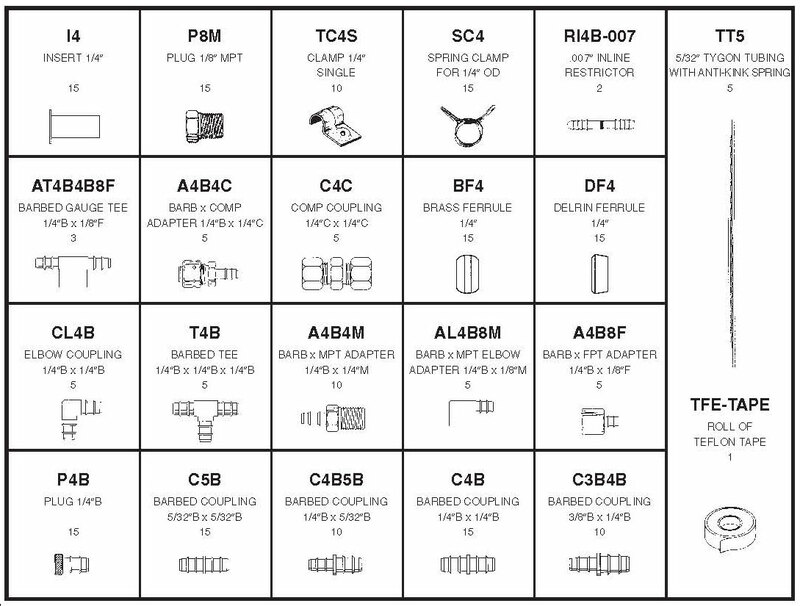 Compression-barbedmale-female-MPT-FPT-1/4" - 3/8" - 5/32".